They contacted Greaves Electrical to bring their ideas to reality. The result was, LED strips embedded into custom made fittings, creating a lighting feature that appears like water bubbles floating on the ceiling. ANZCO is one of New Zealand’s largest exporters, has sales of NZ$1.3bn and employs over 3,000 staff worldwide. In 2014 a Taranaki Regional Council project to bolster the Waitara river flood defences created three issues for ANZCO. The first issue was new flood defences called for the construction of a 700m flood wall that ran directly through one of their 11KV sub stations. The second issue was ¾ of the site 11KV network was on legacy Magnafix switchgear which raised genuine reliability concerns with the site engineering team. The third issue was that the site had to keep up with production and couldn’t be shut down to install new equipment. 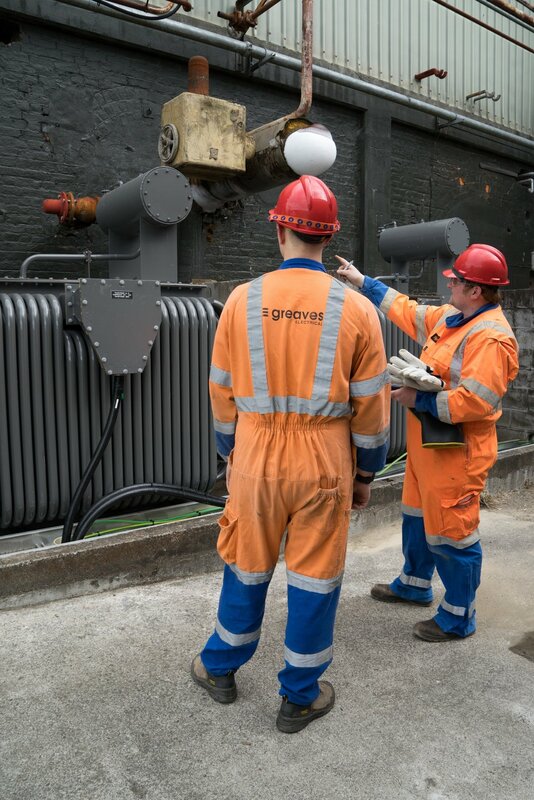 Greaves Electrical were called to design and engineer a solution to move the substation, replace the ageing equipment and keep the plant going. A solution was proposed and accepted. This involved the design, planning, construction of a new 11KV switch room complete with transformer bays and 2 new 3.3KV motor starters, installation of a ring main connection cable, removal of the old Magnafix switch gear, installation of new switch gear, testing, commissioning, livening and as-built drawings. The installation was completed with minimal down time using a combination of staged installation, back feeds and temporary generation meaning the factory could keep producing. The solution Greaves have provided gives me peace of mind that the plant will have a reliable power supply for the next 20 years. All the installation has been completed on time with hardly any plant downtime, which is important to us here at ANZCO. Aotearoa Fisheries is the largest Maori-owned fisheries company in New Zealand. They engaged with Peter Swan Ltd consulting engineers on the rebuild of their processing factory at Waitangi township on the Chatham Islands, to handle the design and project management of the new factory. The new factory has export capabilities and is designed to not only process fish, paua and lobster but also to stand up to the harsh island environment. Greaves Electrical won the tender to supply and install the electrical services for the new factory, from the logistics of getting materials and people to the island, generator connection, switchboards, lighting, data and general power right through to the electrical for the refrigeration plant. A team of five relocated from Taranaki to the Chatham Island for five weeks to complete the install. Keeping a track of the volume of water consented for use and making sure it is accurate means we can better strike the balance between using and protecting the fresh water resources in our region. Monitoring your water take also helps make sure you are complying with you Taranaki Regional Council consent conditions and using water resources in the most effective and efficient way. What is a water meter verification? This is a process where your water meter is compared to a calibrated reference meter, comparing the volume of water each meter records over a set time period. The verification process gives confidence that the meter meets the required accuracy standard (that your water meter is within 5% of the reference meter). Why do you need a water meter verification? In November 2010, the ‘Resource Management (Measurement and Reporting of Water Takes) Regulations 2010’ was released by the government in a drive to more accurately manage and monitor our fresh water resources. The regulations apply to all water takes of 5 LITERS/second or more (as stipulated in your water take consent). The Taranaki Regional Council only accepts verification's carried out by the 'Blue Tick' accredited service providers which Greaves Electrical is. Irrigation New Zealand's Water Measurement 'Blue Tick' Accreditation Program provides a standard to verify and provide data management services in compliance with both Water Measurement Code of Practice and the Regulations for Measuring and Reporting Water Takes 2010. Greaves is not only certified but experienced in water meter system design and installation. We can supply any or all of the key components of your system from water meters, data loggers, piping, electrical and mechanical installation. Call us today to discuss your water meter installation requirements.